If you are looking for a flexible way to fit another dive course into your busy schedule, PADI’s online scuba programs are the way to go. You can get started immediately with the knowledge development portion of the course and work at your own pace using the PADI eLearning® system. This convenient, interactive study option allows you to learn anytime and anywhere you have an internet connection. 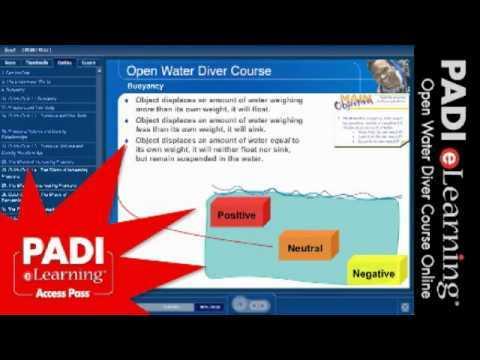 First you will enroll to E-learning OPEN WATER DIVER course on PADI.com where you can do in advance, at own pace, the theoretical part (quizzes, knowledge reviews and exam) . For this part you pay directly to PADI. (e-certificate included). •Get in the water quickly – applying what you’ve learned – when you meet with your PADI Instructor. Bring your theory results and start with practical part right away!. Our instructors will do training in the swimming pool and the sea. This part contains : 5 pool sessions and 4 open water dives.